We guarantee U the lowest Out-of-town fare rates! 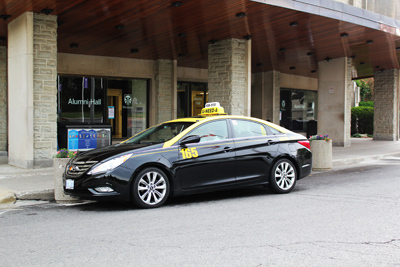 For all your taxi cab and transportation needs in and around London Ontario, U-Need-A Cab Ltd. is the taxi cab company you can count on to arrive on time, no matter where you need to go, and when you need to be there. We are proud to be the largest fleet of taxi cabs in the Forest City area with almost 150 cars. We are convinced that you deserve a courteous taxi cab service that’s safe and reliable — please don’t hesitate to contact us anytime! If you’re looking for a fast and courteous taxi cab service that takes you everywhere in and around London, Ontario, then U-Need-A Cab is the taxi cab company for you! © 2015 U-Need-A Cab London Ltd.